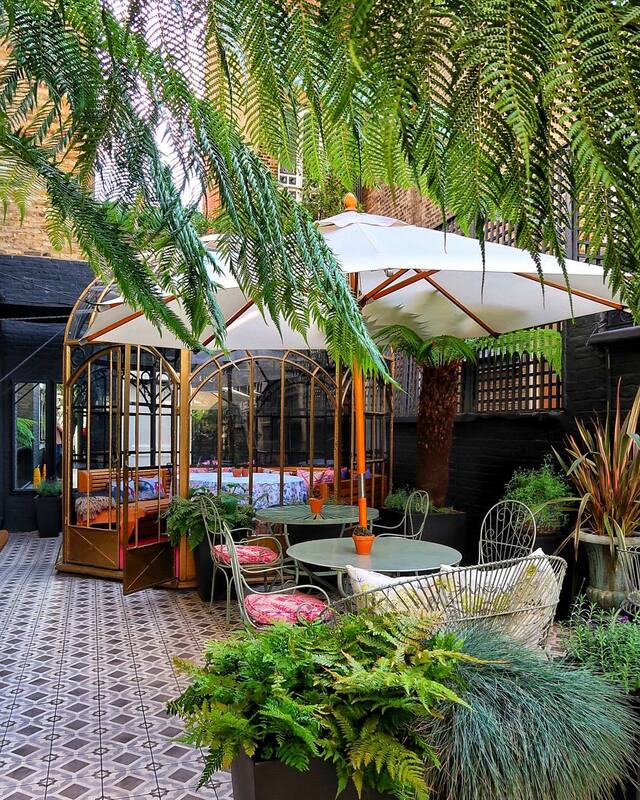 The most Instagrammable hotels in London for a comfy, cosy, picture-perfect stay in the city. Designed by world famous architects Foster + Partners, it’s no surprise that ME London features top of this list. 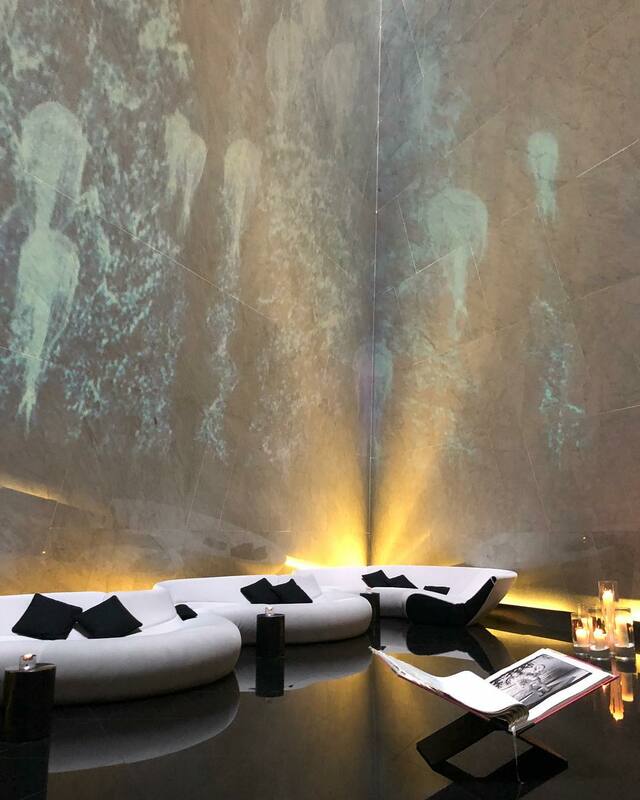 It all starts at reception—a breathtaking room with stunning projections on the wall—before you make your way to the most luxurious bedroom you’ve ever seen. Collapse into the cloud-like bed, step into the ginormous double shower, and admire the views of the hustle and bustle down below. 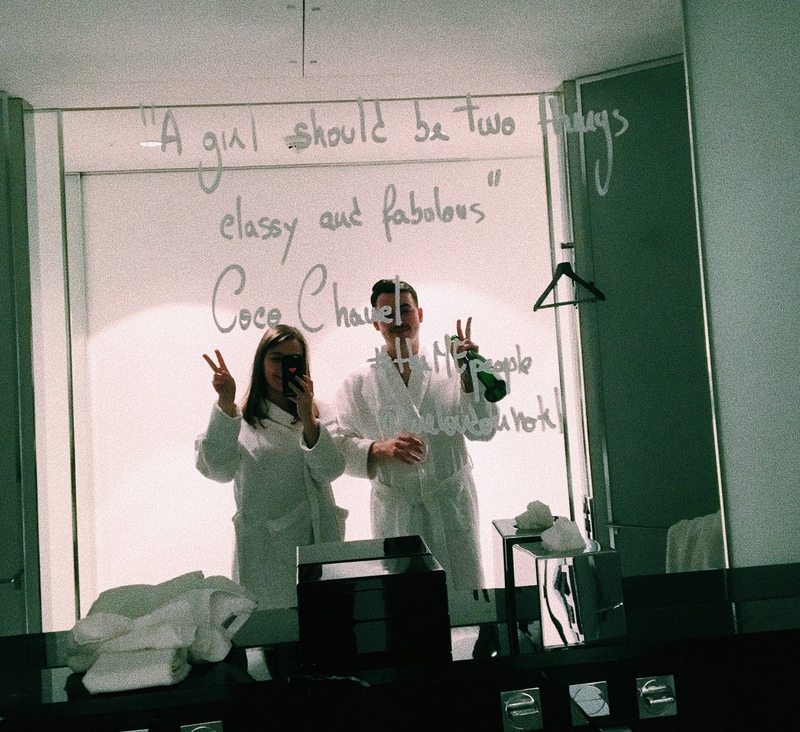 After your welcome prosecco, you may even find yourself posing in front of the selfie-ready mirror, ft. empowering scribbles. At least you’ll definitely look both classy and fabulous in your robes. Find ME London at Strand, WC2R 1HA. The Milestone’s Meghan Suite has been inspired by the Duchess of Sussex, Miss Markle. 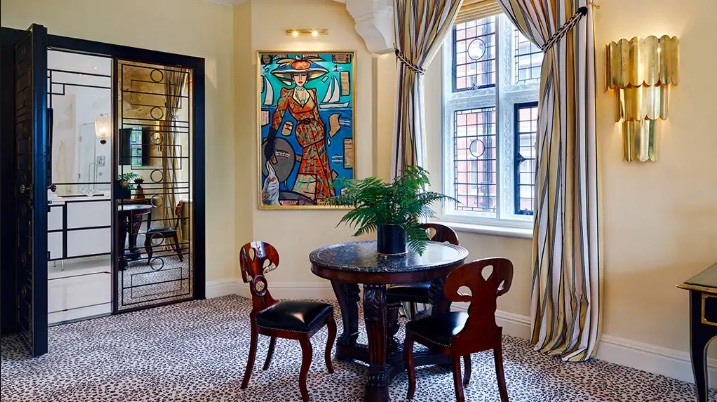 Overlooking Kensington Palace, the suite is every bit as elegant as you might expect. The walls are covered in contemporary paintings, the bed is fit for a princess… and the carpets? A sassy and bold leopard print. However, it’s the bathroom that really steals the show here. 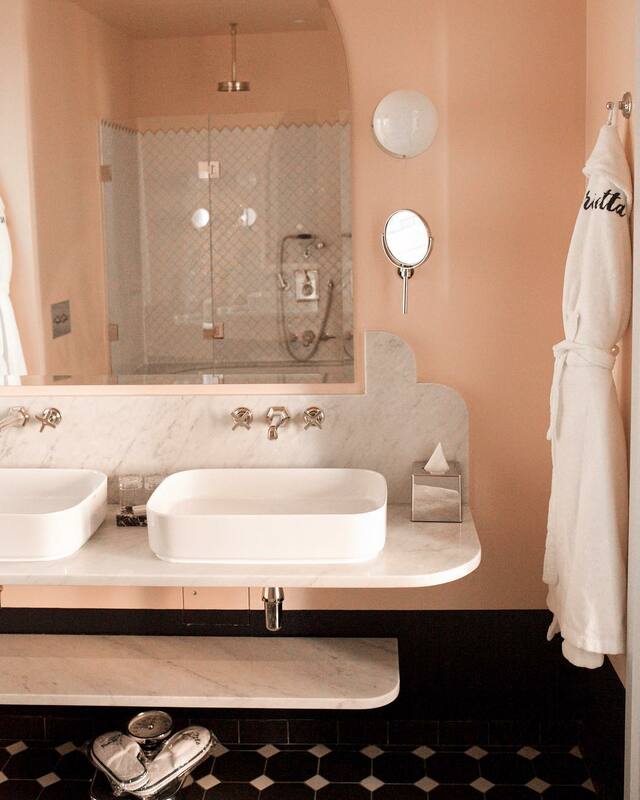 Set behind bronzed mirrored doors, the room is monochrome and marble, and features a pure white marble bath. Pure heaven. Find it at 1 Kensington Court, W8 5DL. 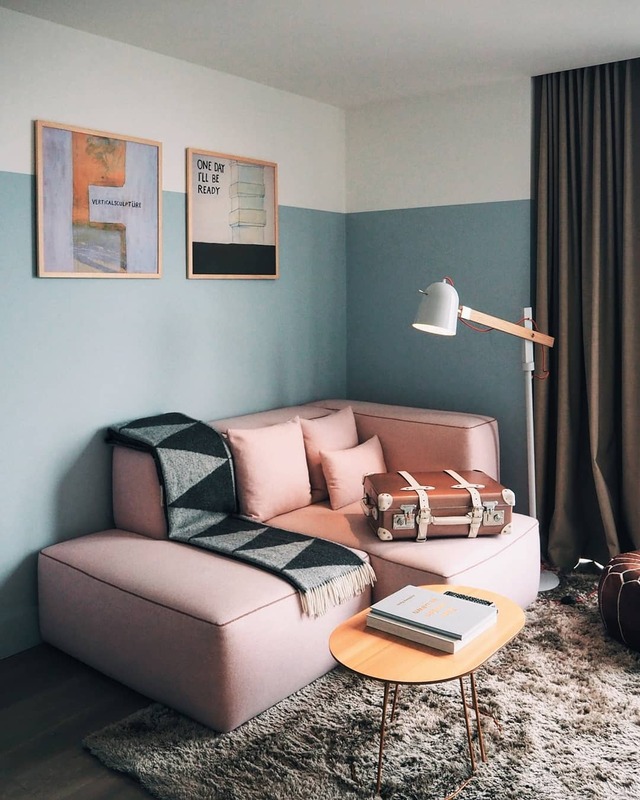 Leman Locke is a seriously gorgeous aparthotel, decked out in trendy pastel and filled with beautiful furniture. You’ll feel right at home in their studios – from the cosy bed to the massive rain shower, and even the kitchen, which is complete with everything you need to cook up a delicious meal (minus the actual food, of course). Lounge on the sofa, admire the artwork, and shove something on the telly. You won’t ever want to leave. Find it at 15 Leman Street, E1 8EN. Hotel 41 is not only ridiculously photogenic, but has also been voted the UK’s number one hotel on TripAdvisor. Overlooking the Royal Mews of Buckingham Palace, it doesn’t get much more regal than this. 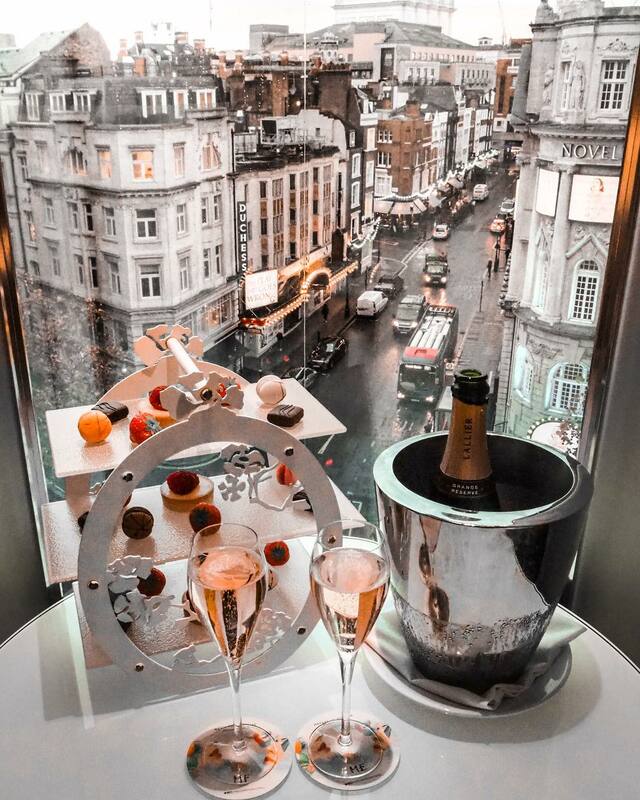 And you’ll certainly feel like royalty as you enter the hotel’s Conservatory Suite – a breathtaking monochrome room with a beautiful glass roof, perfect for stargazing. 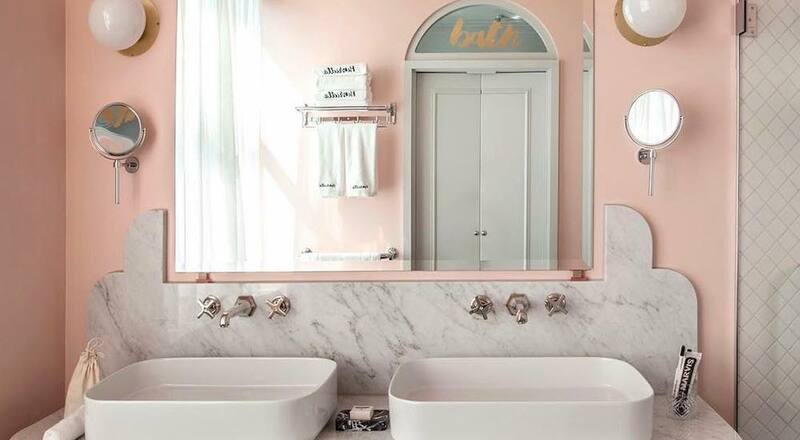 If you’re ever bored of the view, retreat to the whirlpool bath inside the marbled bathroom, which, of course, is an equally ‘grammable space. Find it at 41 Buckingham Palace Road, Victoria, SW1W 0PS. This one is not so much about the bedrooms, but the hotel bar. 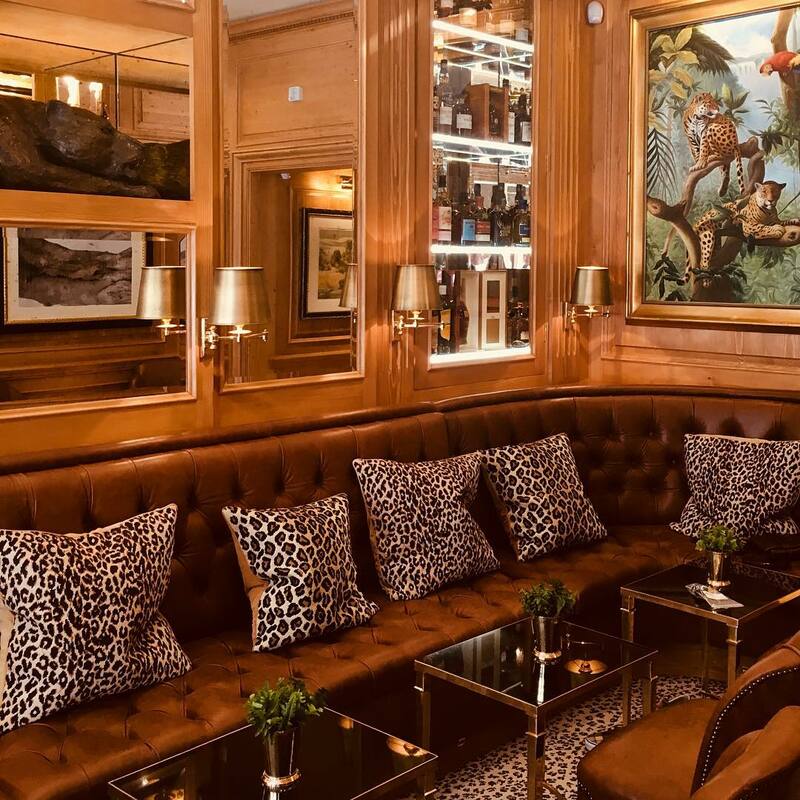 The Leopard Bar at The Rubens at the Palace is just screaming to be photographed. Boasting over 200 whiskies and some spectacular live music, this quirky bar is a classy spot for a dram, a jam and a ‘gram. Find it at 39 Buckingham Palace Road, SW1W 0PS. The Hoxton has two London hotels: one in Shoreditch and one in Holborn. And they’re both as beautiful as each other. The bedrooms in Shoreditch feature industrial details, parquet flooring, large mirrors and modern monochrome bathrooms. 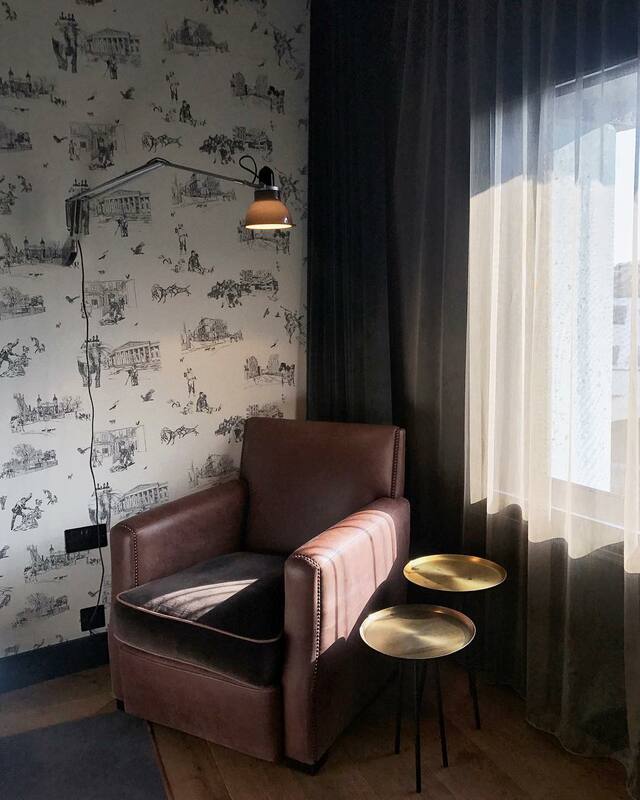 Holborn, however, is filled with quirky interiors, including wallpaper designed by local illustrators and artwork by Central St. Martins students. 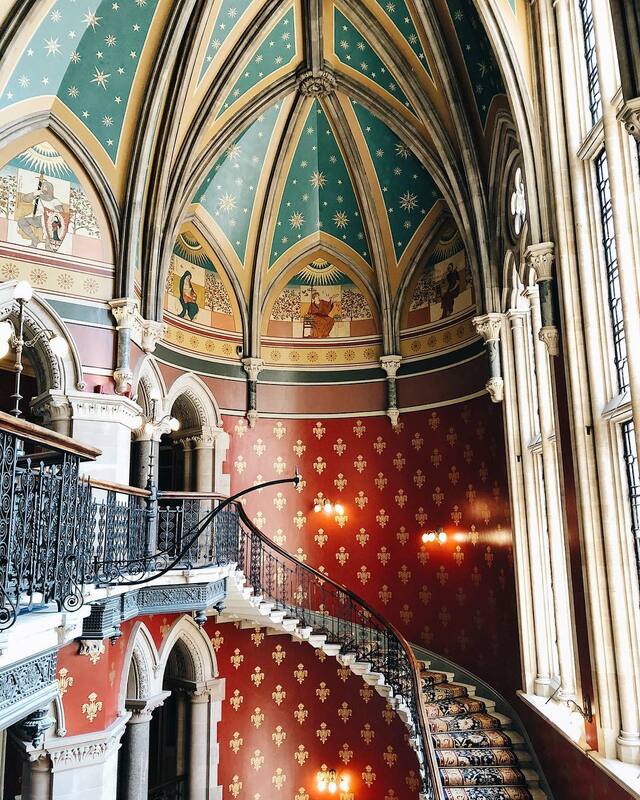 Both lobbies are also famously picturesque, and they’re the perfect spot for working remotely, or just grabbing a coffee or a cocktail. More details here. The Mandrake is known for its dedication to flora and fauna, with its inner courtyard flaunting two 150 year old Tasmanian Fern trees and drapes of jasmine and passion flower. Guests can relax with a drink at the Jurema bar – a cabana affair set amongst the foliage. There’s even a glasshouse apothecary on the second floor, full of exotic medicinal plants. Find it at 20-21 Newman Street, Fitzrovia, W1T 1PG. With its Manhattan warehouse vibes, The Curtain just oozes class. Think exposed brickwork, hardwood floors and floor to ceiling windows. You’ll almost be surprised to stare out at views of Shoreditch rather than the Big Apple. 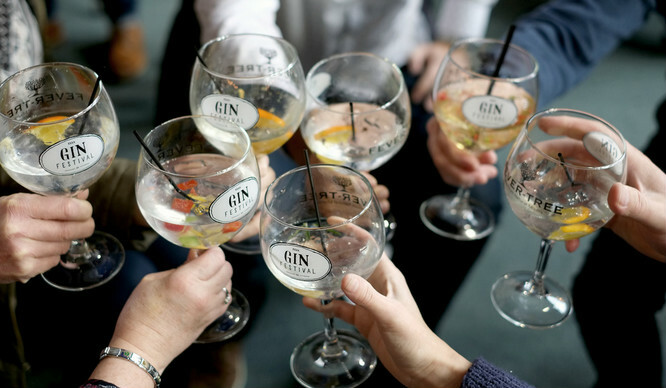 Upstairs, you’ll find the Members’ Club, an exclusive venue that guests have full access to during their stay. 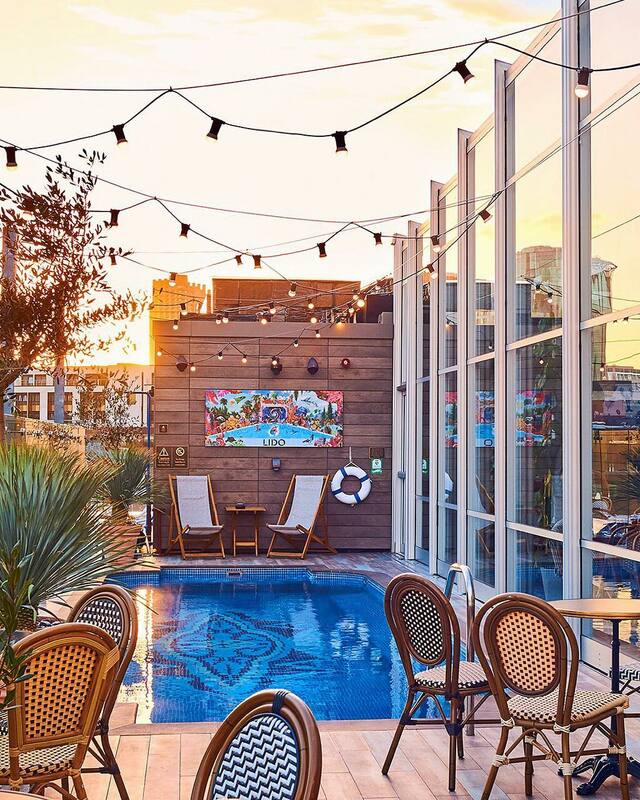 There’s a swanky rooftop lido, a hidden drinking den, and a great spot for late night parties and secret gigs. Find it at 45 Curtain Road, EC2A 3PT. You half expect the staircase at the Renaissance Hotel to move, Hogwarts style – but, alas, it’s entirely stationary. This doesn’t make it any less impressive though, as it’s still an iconic feature of this incredibly beautiful building. Outside, it’s an architectural landmark; resembling something out of a fairytale. Inside, it feels equally magical, and you’ll want to take pictures of it all. Find it on Euston Road, Kings Cross, NW1 2AR. Each room at Blakes was individually created by design powerhouse, Anouska Hempel. They each represent her passion for life and travel: bold, daring, and dramatic. The truly ‘grammable part, though, is the courtyard. Colourful and quirky, it’s the perfect spot for breakfast, lunch or cocktails – all overlooked by a giant zebra leaping out of the wall above you. Find it at 33 Roland Gardens, SW7 3PF. 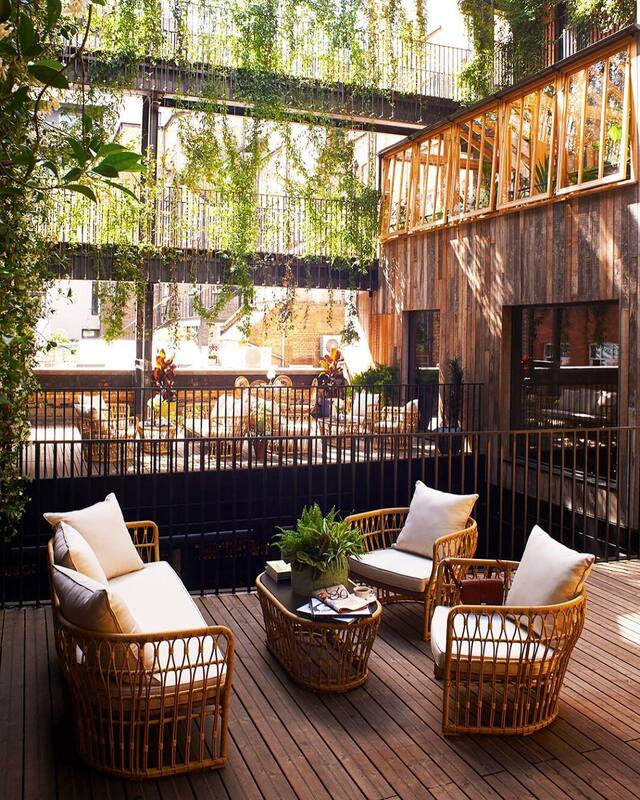 This beautiful boutique hotel is all about the details. Everywhere you look is another gorgeous lamp, or a lush pink chair. There are only 18 rooms in the building, and each one of them is unique. That said, everything is slightly rose-tinted so, naturally, it’s perfect for the ‘gram. Find it at 14-15 Henrietta Street, WC2E 8QG.